Perhaps our most forgiving dress - the Fan Dress is a winner. The empire cut bodice ends just below the bust before flowing out into a full A-Line skirt that skims the body beautifully. 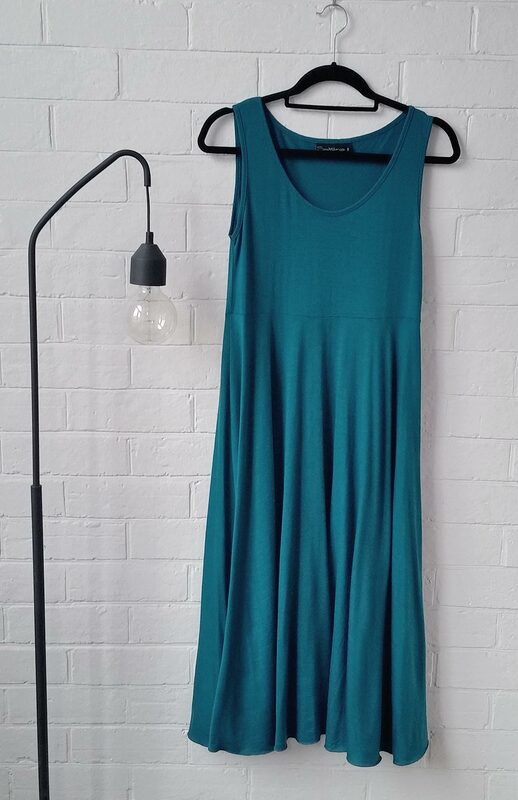 This sleeveless dress is gorgeous and light for Summer, especially with a ¾ Crop Cardigan. For cooler months, simply pop a Scoop Neck Top underneath and when the snow falls, grab a pair of Wool Fleece Leggings - you’ll be set!